What I do on weekends. I spent this weekend styling for clients--a pre-nup and a private fashion shoot. I will blog about today first because I'm not yet done editing the other photos. Hehe. One of the fastest shoots I've ever been to, the shoot was for 3 sisters who just wanted something different. It was fun--as always. We also have our playtime... Hehe. Darz (our amazing photog) mimicking/making fun of me. Lookbook poses daw. Hahaha! He does a great impression of me--actually of everybody..:P Love you darz! It's a little pricey for P450 but what the heck, it's still cheaper than pre-order korean shoes. Also tried (finally!) ordering through Quickdelivery.ph. 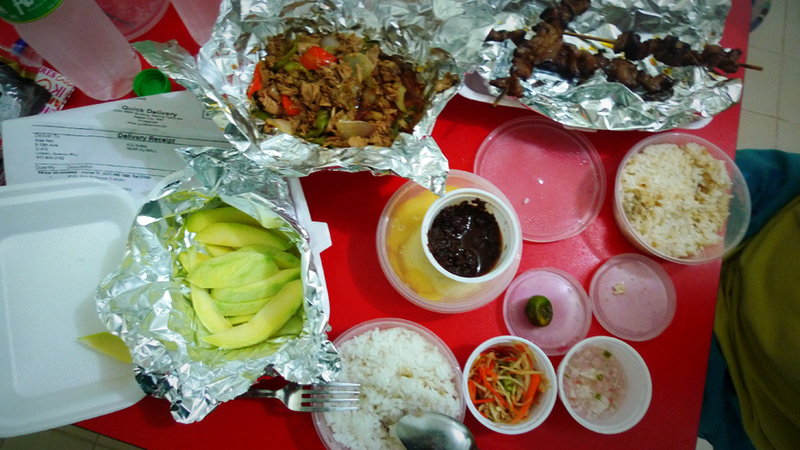 The food was pricey but the tuna sisig and green mangoes made it all worth it. Haha. We ordered close to midnight so I opted to buy food from Whistlestop. And finally, some outfit shots! 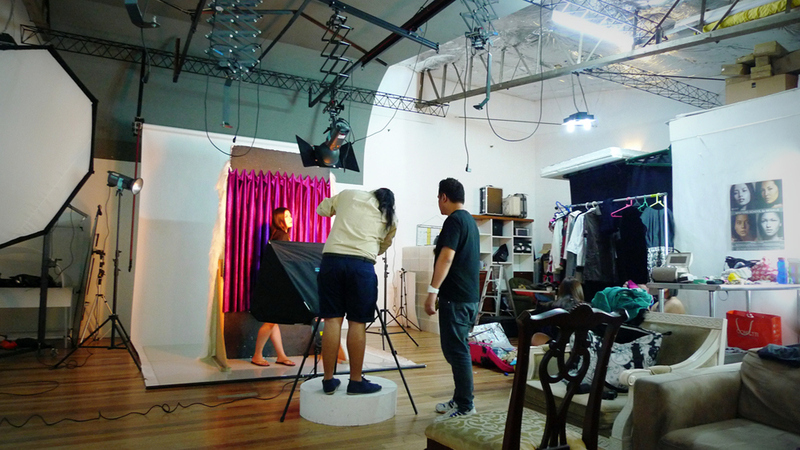 On my next post: pre-nup shoot in Subic and Manila Bulletin shoot! :)How about you guys? How was your weekend? I love this outfit! Those wedges look great with the color of the top. Love how you spent your weekend - productive. I just slept mine away. Boo! Always wanted to do a private fashion shoot with friends! So much fun! I always love hearing about your work! Im glad you're busy with a lot of styling gigs! HOW FUN. Your job seems amazing. And I love both the yellow shoes and your leopard print shoes - so amazing! It's been a while since my last visit. So cute naman your new yellow pumps! Are those suede or velvet?